First-time user? Contact our sales team to create an account. Trouble logging in? Call us at (651) 487-8000. 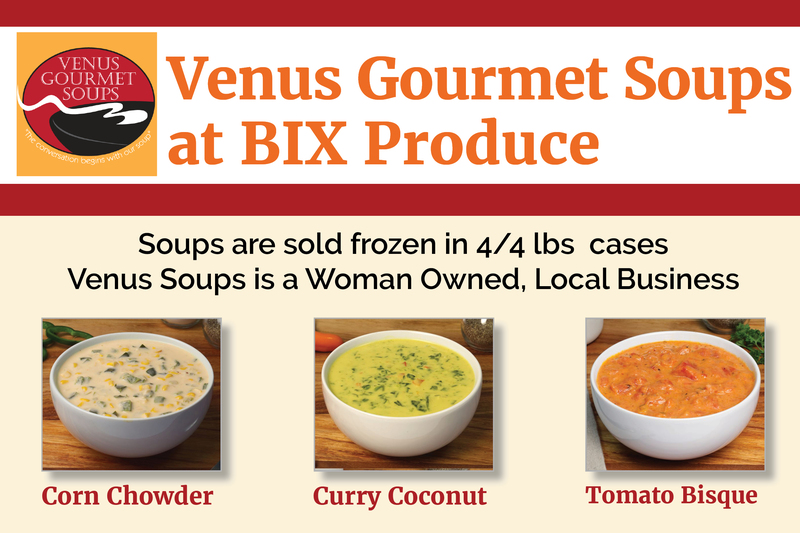 Leslie Vadnais, the Chef and Owner of Venus Gourmet Soups, has created each soup to be vegetarian and made with gluten free ingredients. The use of true ingredients enhances the soups’ unique and delicious flavors making them one of a kind. BIX Produce is proud to provide our customers with a wide variety of the freshest locally grown fruits, vegetables and specialty products from local purveyors.